A ws on making English phrases with as...as structure. This printable, downloadable handout is recommended for high school students, elementary school students and kindergartners and nursery school students at Elementary (A1) and Pre-intermediate (A2) level. 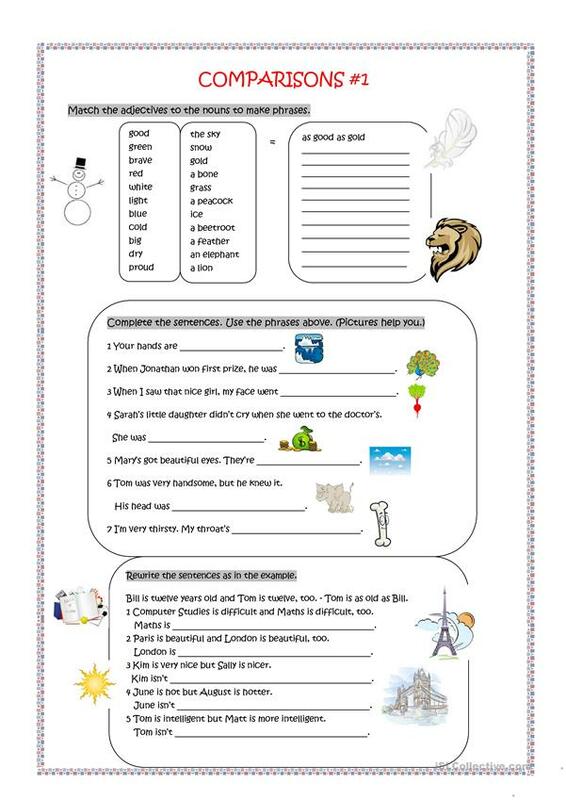 It is aimed at revising Adjectives in English, and is a valuable material for working on your students' Reading and Writing skills. It is about the vocabulary topic of Idioms.